affordable housing in the city, good schools and easy access to subway and transit. 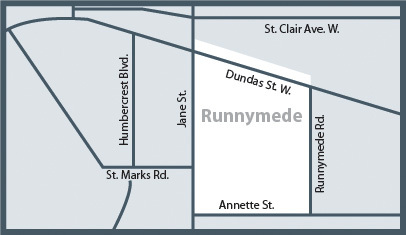 Runnymede features tree lined streets with a unique selection of houses including large Victorian’s, English Cottage’s, Tudor’s, bungalows, duplex and triplex housing and semi-detached options. Here you will find brick, stucco, stone and wood sided homes. 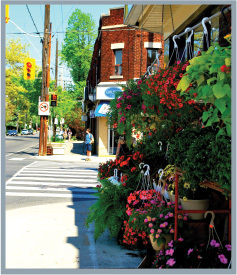 Jane Street and Annette Street offer residents a variety of shopping options including, cafes, grocers, antique stores, pharmacies and variety stores.